The Los Angeles METRO is not only helping North Hollywood ease traffic, or helping us commute and explore L.A., it’s also helping us find love this Valentine’s Day. What? Yes, our pals at METRO are doing speed dating on the Metro Red Line from 11am-1pm on, yes, Valentine’s Day. So get your TAP card and get ready for some Love on the Red Line! When: Friday, February 14 from 11am-1pm. Registration is from 10:30am-12:30pm (see train schedule on back). Where: Metro Red Line. After registering, go to the LAST car of the train heading towards North Hollywood Station or the FIRST car headed towards Union Station if you are starting in the NoHo Arts District. Look for decorations on the train. Who: All Metro riders over 18 years old with a valid ID. You must sign a waiver and wear a valid event wristband to participate. Before you board, don’t forget to tap your valid TAP card. How It Works: Upon boarding, Metro staff will announce that each participant should select a seat of their choice. After two minutes, you can remain in your current seat, select a new seat, or get off the train and board another train. See full list of RULES and how much fun you’ll have this Valentine’s Day! The NoHo Arts District is officially just one-square mile but the neighborhood has many fun things to do, especially for Valentine’s Day! Our unique, NoHo original restaurants are cooking up some delicious fare and also serving up some great burlesque. We don’t escape the theatrical in North Hollywood, afterall, we do have 20+ theatres. So if you’re looking for dinner and then see a show, check out our NoHo Theatre Guide. The Federal Bar North Hollywood features a performance by The Lalas, L.A.’s hottest burlesque show! The restaurant, which features its recently unveiled winter menu, will offer a la carte dinner specials all weekend long. Signature dishes include Smoked Gouda Ziti, Roasted Root Veggie Skewers; and the Raw Brussels Sprout Salad. Carnivores will be happy with The Federal’s massive Pastrami Burger and Sherry Chicken. A few blocks away, Bow & Truss Restaurant and Bar offers a special four‐ course prix fixe menu to celebrate the romantic holiday, featuring Pan‐Latin selections from the new menu, sure to stoke the ardor of that special someone! Selections include; Komodo Oysters, squash soup, kale and quinoa salads, pork loin, a fish bowl, Mary’s Chicken and chocolate covered cherries for dessert. Wine and beverages are included. Bow & Truss: 11122 Magnolia Blvd. Hearts on Fire at The Eclectic! Executive Chef Margarito Gutierrez has created a specialty menu for the happy day. They will serve a lot of yummy starters like Fresh Blue Point Oysters, Dungeness Crab and Artichoke Dip and Lobster Bisque Soup. 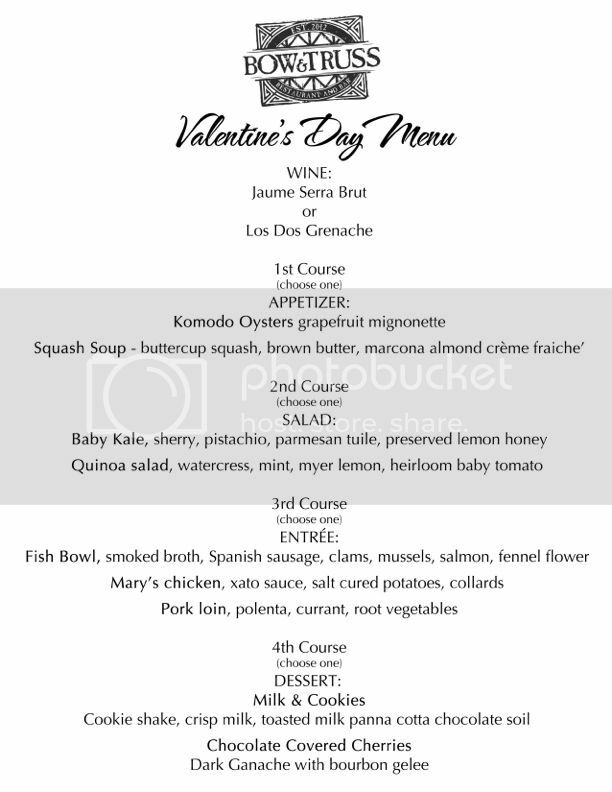 Their full Valentine’s Day menu is below. 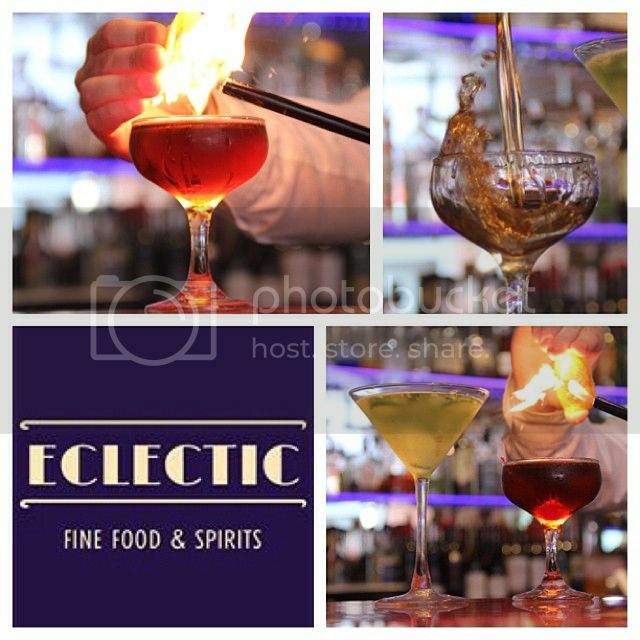 The Ecelectic: 5156 Lankershim Blvd. To guarantee your reservation please go to theeclectic.com, on Open Table or call directly at (818) 760-2233.